Posted on 10/10/2017 by David LaMason	in Live Review and tagged Alec O'Hanley, Alvvays, Antisocialites, dreampop, indie pop, Kerri MacLellan, Molly Rankin, polyvinyl, Polyvinyl Records, pop, Rock and Roll Hotel, Sheridan Riley, Teenage Fanclub, twee pop. 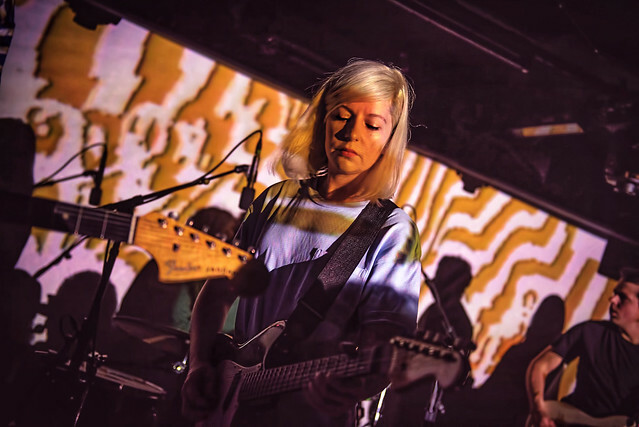 Saturday night found Alvvays playing the first night of two sold-out shows at Rock & Roll Hotel. Even an hour before the doors opened, the line to the venue stretched down H Street NE, a testament to the band’s growing fanbase. And it’s certainly not hard to see why.